With eight career shutouts and a fastball that can reach as high as 100 mph, Astros pitcher Justin Verlander is widely recognized as a force on the mound. However, baseball fans everywhere may be surprised to learn that the seven-time MLB all-star and future Hall of Famer struggles with seasonal allergies. Everything that you need to be an athlete, having allergies interferes with. You need to be able to breathe, sleep to recover, and run and not get exhausted,” Verlander told Healthline. While he had asthma as a child that required him to carry an inhaler, Verlander said his asthma never interfered with his little league games, and he didn’t experience seasonal allergy symptoms until he was a freshman at Old Dominion University. When Verlander was diagnosed with seasonal allergies, he said his family was shocked. Although, the connection between asthma and allergies isn’t an obvious one, the American College of Allergy, Asthma and Immunology (ACAAI) reports that studies show about two-thirds or more of those with asthma also have an allergy. But why does an allergy occur? Allergies have to do with the immune system “thinking” a substance is harmful. To ward off the perceived allergen, the immune system produces antibodies called immunoglobulin E (IgE). When someone with allergies is exposed to the allergen, these antibodies release immune system chemicals, such as histamine, that cause allergy symptoms most often in the nose, lungs, throat, sinuses, ears, lining of the stomach, or on the skin. 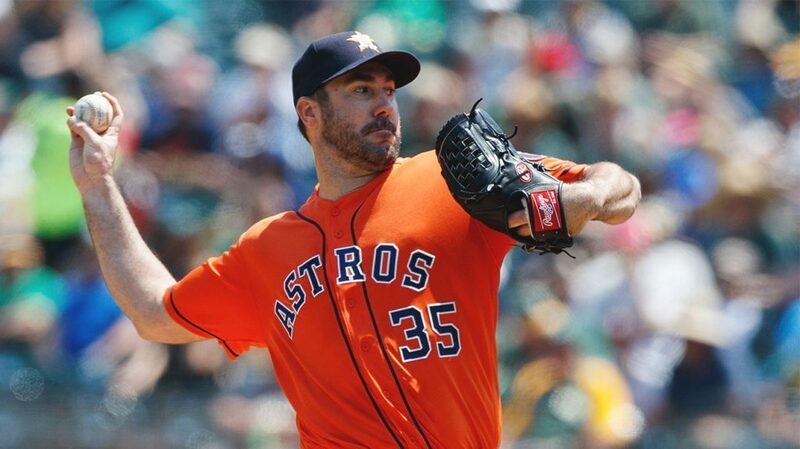 In Verlander’s case, being exposed to allergens such as grass, trees, and pollen, causes his immune system to react. In many parts of the United States, the ACAAI states that spring allergies (trees, pollen, grass, ragweed) begin in February and last until the early summer while fall allergies (ragweed, burning bush, cocklebur, etc.) tend to begin in August and go through November, depending on the allergen and climate. For Verlander, baseball season coincides with allergy season. Over the years, Verlander tried different antihistamine pills and nasal sprays to relieve his symptoms. Through a process of elimination, he settled on the nasal spray Flonase. “It does the best job at relieving my allergies,” Verlander said. For a second year, he has partnered with Flonase and its Big League Relief Campaign to educate his fans on the importance of having an allergy game plan. “I was excited about this partnership because I am truly an allergy sufferer and I am happy to spread the word,” said Verlander. He says having a maintenance plan has worked best for him. “My advice is to not take allergies too lightly. Too often, and this is what happens with me, we don’t pay attention to the time of year and the next thing you know you have allergy [symptoms] and you’re sick and it’s this avalanche effect,” said Verlander. He added, being prepared for allergy season keeps his symptoms at bay. “It really helps me getting on a routine before springs starts, not after. I started just in the spring when I first found Flonase, but for as severe as my allergies are I found doing year-round is the best preventive method,” Verlander said. The ACAAI states that, like Verlander, more than two-thirds of spring allergy sufferers actually have year-round symptoms. And while you seek treatments, stay hopeful, added Verlander, who would like to see allergies resolved for the youngest generation, which includes his 4-month-old baby girl. “Until that happens, because allergies can be hereditary, at least if [my daughter] does suffer from allergies, I know how to help her best,” he said.